Here’s another one of those lists I’ve been working on. Primarily, the reoccurring genre this time ’round are in the ‘core genre. Hope you enjoy! Deathcore, as of late, has been extremely popular, especially with the last 4-5 years. 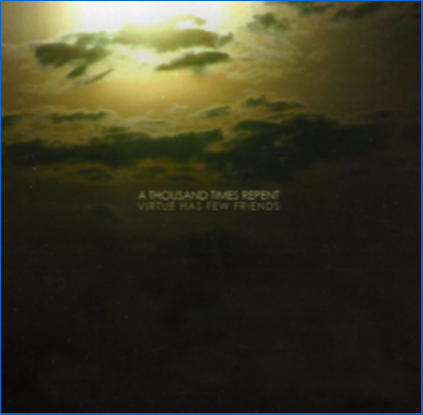 If you want some good Christian deathcore, go listen to A Thousand Times Repent, as well as the Christian deathcore comps on Bandcamp. But back to the topic at hand. The band formed in 2006 as a sixpiece, one vocalist, one drummer, one bassist, and three guitarists. The band signed to Tribunal Records and released a single EP, Virtue Has Few Friends. Lineup changes ensued soon after and then disbanded around 2011, without any formal announcement. The band seemed to have some hype behind them back in the day, with the release of the EP. In more recent days, the band was given more press with… er… crime. Not the band members though, I assure you. Who thinks the best metalcore was in 2007? You most likely wouldn’t be wrong. I believe the late 90’s would have been, but with the progression of music, 2007 was definitely the year for metalcore. Besieged was a band that formed in 2004. The band recorded some EPs before releasing a full-length album in 2007 through Blood & Ink Records. With some members you may know. Drummer Josh Schroeder has gone on to record several bands, including A Plea for Purging, The Burial and Those Who Fear. Vocalist Mattie Montgomery (oh yeah, you know him), went on to perform with For Today, now one of the biggest Christian metal acts around. Mattie quit after the album was recorded to join For Today. The band went on hiatus in 2010 and there hasn’t been much activity since then. Southern metalcore bands haven’t gotten very far in the music business. Maylene and the Sons of Disaster and Memphis May Fire had great success, and that was about it as far as southern metal with Christian lyrics. Twelve Gauge Valentine was one of the many bands that reached minor, if any, success. The band formed in 2003. The band released an EP, Exclamationaire via Sound VS. Silence Records, a independent label based out of Salt Lake City, Utah. The band soon thereafter signed to Solid State Records and released an album, titled Shock Value in 2006. The band announced their final tour in 2008, alongside, the aforementioned Memphis May Fire, and another Christian metal act, The Handshake Murders, featuring ex members of Eso-Charis. Like A Thousand Times Repent, Christian death metal (or as I like to call it, UnDead Metal)/black metal act, From the Shallows signed to Tribunal Records and released a single EP. The band formed n 2005 with Marco Mendoza, now a member of Imperial and a former member of Christian metalcore band, Settle the Sky. The band released their EP, Beyond the Unknown, in 2007. In 2008, the band went on an indefinite hiatus, and nothing has really been heard from the band since. The band was popular in the secular realm of music for the brief time in the industry, and not often thought of as a Christian band, though Mendoza stated that this was the case. The band also consisted of members that were in The Black Dahlia Murder. There are several bands that form with members that are… for lack of a better term, celebrities as members. Look at Fozzy with Wrestler Chris Jericho and Actor Christopher Lee (RIP 2015)’s solo project. This project, Misery Chastain, is a project by a certain Seth Kimbrough. The BMX biker is best known for his other band, Mortal Treason. After Treason broke up, Kimbrough formed Misery Chastain with a few friends in the area. The band released the Rurnt EP and the Awaiting the End album. The band disbanded in 2010 and the members didn’t o a whole lot musically until 2014 when Treason reunited with the original members, minus one, with the addition of MC Bassist Clay Bryom. The band was pretty underground and no one really knew them. These are more bands that you should listen to. This time I added links to the music. Check them out! 4 Comments on "5 Christian Metal Bands You May Not Have Heard Of (2000's Version)"
I definitely remember Twelve Gauge Valentine and vaguely remember Besieged and Misery Chastain. I haven’t heard any of the other bands, but the Besieged associated bands are a credible lineup. ATTR was also one of my first metal bands. I still jam their album occasionally, and the worship song at the end is actually really good. There’s always been one thing that I’ve wondered about that album though. When I downloaded it off of iTunes it had the album art in the link below. Everywhere else I’ve seen it has had the artwork used in this article.